up and notice the incredible skyline surrounding you! =) Needless to say we had a lot of fun shooting engagement pictures that day and I love how so many of these pictures are in the heart of the city and yet feel like they couldn’t possibly have been taken in downtown Chicago. 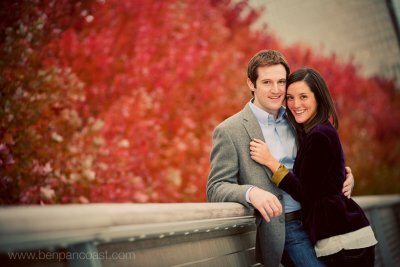 Check out even more beautiful Chicago Engagement Pictures here!